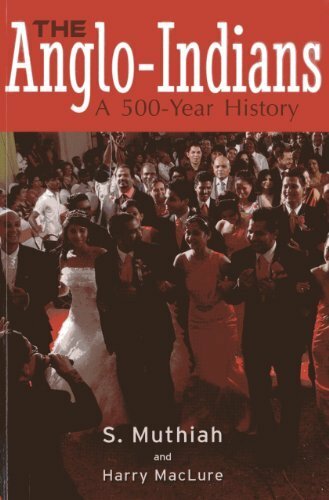 Anglo-Indians are a mixed-race, Christian and Anglophone minority community which arose in India during the long period of European colonialism. An often neglected part of the British ‘Raj’, their presence complicates the traditional binary through which British imperialism in South Asia is viewed – of ruler and ruled, coloniser and colonised. This book looks at how Anglo-Indians illuminate the history of minority politics in the transition from British colonial rule in South Asia to independence. The book analyses how the provisions in the Indian Constitution relating to Anglo-Indian cultural, linguistic and religious autonomy were implemented in the years following 1950. It discusses how effective the measures designed to protect Anglo-Indian employment by the state and Anglo-Indian educational institutions under the pressures of Indian national politics were. 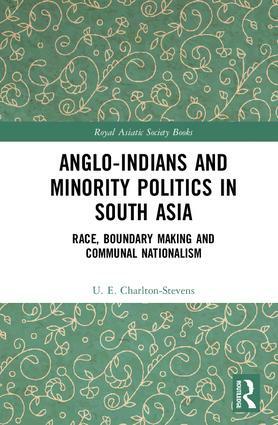 Presenting an in-depth account of this minority community in South Asia, this book will be of interest to those studying South Asian History, Colonial History and South Asian Politics. 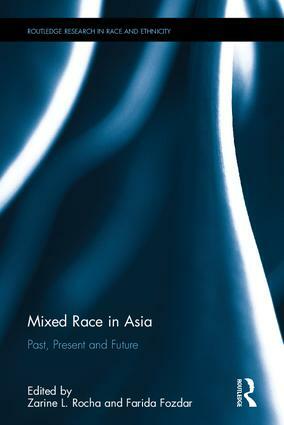 The Book reveals that small though it be, the Anglo Indians are a community with a great heritage. It is a story of disappointments and of hopes, of uncertainty being a part of their lives from the day they were born. It is also the story of a people who found happiness and satisfaction in the various niches they were fitted into. Robert Wood grew up in a multicultural household in Perth. He holds degrees from the Australian National University and the University of Pennsylvania, where he was a National Undergraduate Scholar and a Benjamin Franklin Fellow respectively. He has edited for Margaret River Press, Wild Dingo Press and Overland, and volunteered for the Small Press Network, Philadelphia Fringe Festival and Books through Bars. He has published work in literary journals such as Southerly, Plumwood Mountain and Counterpunch and a academic journals including Foucault Studies, JASAL and Journal of Poetics Research. He currently hosts a reading and conversation series at The School of Life and is a regular contributor to Cultural Weekly. His next book, heart-teeth, is due out from Electio Editions later this year. What is the hybrid to do? Sultan Muhammad Adil Shah of Bijapur and African courtiers, ca, 1640. Credit: The British Library Board. India and Africa have a shared history that runs deeper than is often realised. Trade between the regions goes back centuries – 4th century CE Ethiopian (Aksumite) coins have been found in southern India. Several African groups, particularly Muslims from east Africa, came to India as slaves and traders. On settling down in the country, they played important roles in the history of the region. Unlike slave experiences in other parts of the world, enslaved Africans in India were able to assert themselves and attain military and political authority in their new homeland. One of the most famous slave-turned-generals was Malik Ambar, an Ethiopian born guerrilla leader who went on to hold a prominent position in the Ahmadnagar Sultanate in west India in the 17th century. In spite of Ambar’s important role, he is a near forgotten chapter of history. Like Ambar, several other enslaved Africans rose to positions of power and prestige. Ikhlas Khan, African prime minister of Bijapur, c. 1650, Credit: Johnson Album 26, no. 19, British Library. Public Domain. …The historical African diaspora in India is rarely discussed. What is the idea behind this exhibition and what is it trying to highlight? Read the entire article and interview here. 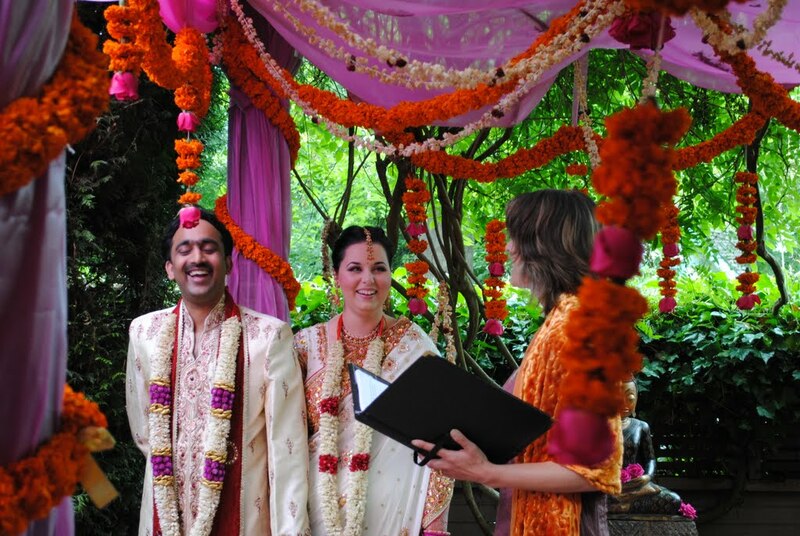 My husband is from South India and I am Canadian. We are the living, walking, breathing epitome of cultural differences – he is Hindu, I am Catholic; he is a strict vegetarian, I am not; he comes from a huge traditional Iyengar family, I come from a very small Canadian family. We met and fell in love 10 years ago in college, and it still stands that he’s the best thing that ever happened to me. I fell in love with him because he was perfect for me – and he just happened to be from a completely different culture than my own. Sure, we have had our challenges. There were difficulties being accepted by his family, we still have frequent misunderstandings, we get stared at a lot in public, and we feel a bit isolated in our journey as an intercultural couple because our mix is such a rarity. But our journey getting to know each other’s cultures has been beautiful, mind-blowing and so interesting. Siona Benjamin, a greater New York City artist, hangs her “very typical” Indian Jewish Mezuzah, a prayer scroll in an engraved casing, on her door to remind her of her cultural roots. “Every time I walk through my main door, it reminds me of my Indian Jewish background,” especially so during Hanukkah, the Jewish Festival of Lights that began Dec. 6 and stretches over 8 days. Originally from Bombay, Benjamin’s art is a blend of her background growing up in a Hindu and Muslim society, educated in Catholic and Zoroastrian schools, raised Jewish and now living in America. She is among the barely 100 or so Bene Israelis left in the Tri-state area, and the 350 or so around the U.S. according to Rabbi Romiel Daniel, rabbi and president of the Rego Park Jewish Center who since 1995, has tried to keep his flock together and raise awareness among the second and third generation Bene Israeli youth. Some of the history of this small and unique community is captured in the exhibit “Baghdadis & the Bene Israel in Bollywood & Beyond” that opened in early November at the Center for Jewish History in New York City and will be on till April 1. Presented by the American Sephardi Federation, most of the items at the exhibit come from the Joyce and Kenneth Robbins collection, and highlight how Indian Jews, women in particular, were leaders in Bollywood and beyond at a time when custom and tradition kept many other Indian women out of Bollywood. 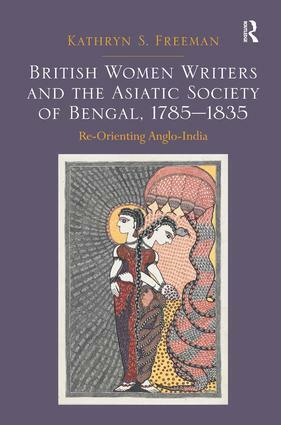 In her study of newly recovered works by British women, Kathryn Freeman traces the literary relationship between women writers and the Asiatic Society of Bengal, otherwise known as the Orientalists. Distinct from their male counterparts of the Romantic period, who tended to mirror the Orientalist distortions of India, women writers like Phebe Gibbes, Elizabeth Hamilton, Sydney Owenson, Mariana Starke, Eliza Fay, Anna Jones, and Maria Jane Jewsbury interrogated these distortions from the foundation of gender. Freeman takes a three-pronged approach, arguing first that in spite of their marked differences, female authors shared a common resistance to the Orientalists’ intellectual genealogy that allowed them to represent Vedic non-dualism as an alternative subjectivity to the masculine model of European materialist philosophy. She also examines the relationship between gender and epistemology, showing that women’s texts not only shift authority to a feminized subjectivity, but also challenge the recurring Orientalist denigration of Hindu masculinity as effeminate. Finally, Freeman contrasts the shared concern about miscegenation between Orientalists and women writers, contending that the first group betrays anxiety about intermarriage between East Indian Company men and indigenous women while the varying portrayals of intermarriage by women show them poised to dissolve the racial and social boundaries. Her study invites us to rethink the Romantic paradigm of canonical writers as replicators of Orientalists’ cultural imperialism in favor of a more complicated stance that accommodates the differences between male and female authors with respect to India.